Carson Valley is home to a number of very successful manufacturers. Find out why these companies made the move to Carson Valley! 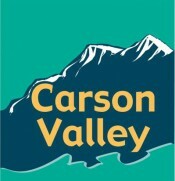 The Carson Valley offers many amenities to businesses considering relocating to Nevada. In addition to the state’s business-friendly attitude and low taxes, property is relatively inexpensive and the transportation infrastructure is excellent. Relocation assistance is available through the Northern Nevada Development Authority, providing introductions to commercial and residential real estate brokers, financial institutions, and other specialists to assist your move. For more information on the benefits of moving your business to Nevada, please visit the Governor's Office on Economic Development.